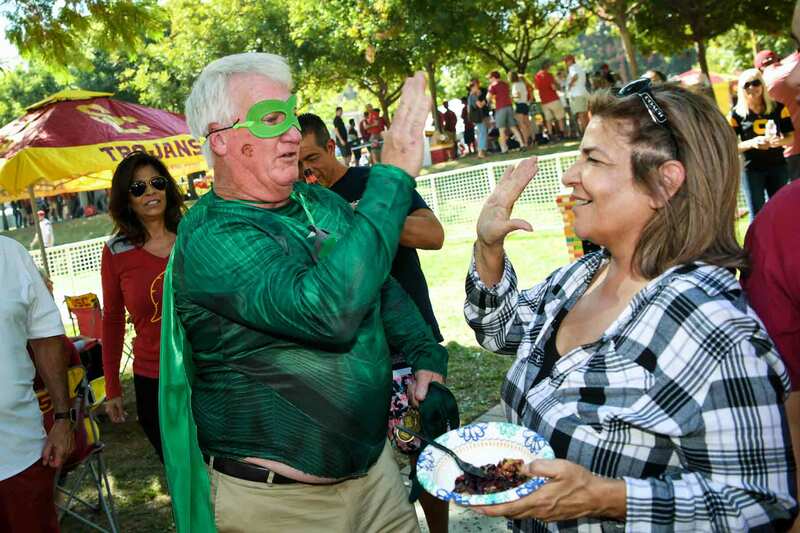 As the players on USC’s football team claimed possession of the Pac-12 crown in 2017, the fans living and dying with those Trojans during fall Saturdays at the Coliseum were doing their part to hold on to a championship of their own. 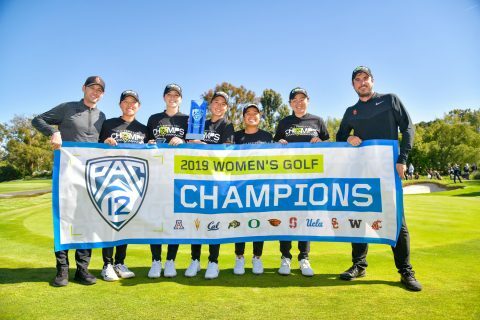 Last week, the Pac-12 Conference officially announced USC as Zero Waste Competition champions for the second consecutive year. Despite the Pac-12 also calling the competition the “Zero Waste Bowl,” this wasn’t quite like those games that cap each college football season. However, the accomplishment might be even more impressive than winning one of those vaunted January games because of what it says about the victors as stewards of the planet. 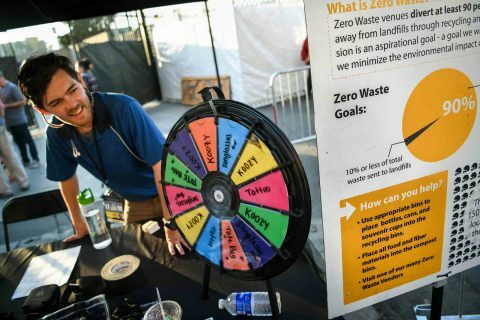 The “Zero Waste Bowl” is a competition between every Pac-12 institution that determines which member university diverted the most waste from the landfill at a selected football and men’s basketball game, as well as which used the most innovative methods to expand reach and impact of sustainability education efforts. Each school is then judged on a summary scorecard describing the efforts involved in the “zero waste” football and basketball games that they submitted. 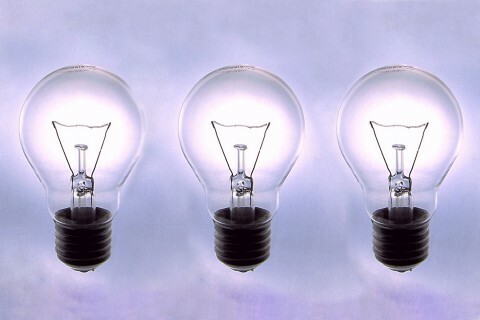 These games are scored in three different categories: participation rate, overall innovation, and most importantly, the actual rate of waste diversion itself. The judges’ panel that awarded USC the championship included conference representative, basketball legend and longtime sustainability enthusiast Bill Walton; Graham Oberly, sustainability coordinator at The Ohio State University; and Mike Carey, sustainability coordinator at Orange Coast College. The winning entry submitted by the team from USC Sustainability was for the Oct. 14, 2017 football game against Utah, where a 90.96 percent diversion rate was achieved by fans and crew at the Coliseum. Fans at the game were encouraged to participate through promotional activities like an interactive tailgate, giveaways, flash mobs, a live trumpet brigade, confetti cannons and a “green game mascot” named “Recycle Man” who educated fans on the best methods of sustainable waste disposal and other sustainability best practices. “Zero waste” is defined as diverting 90 percent or more of waste materials from the landfill or incinerator, through recycling, composting or other repurposing. 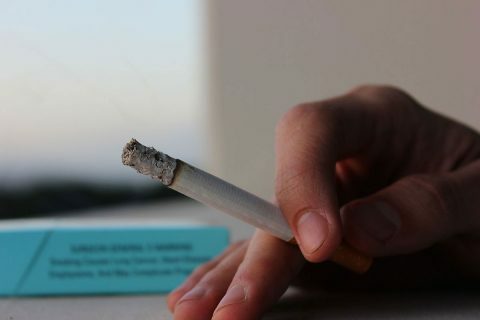 This is considered the industry standard for a “zero waste” designation, as external variables like fans bringing in their own noncompostable products make some diversion to landfills necessary. 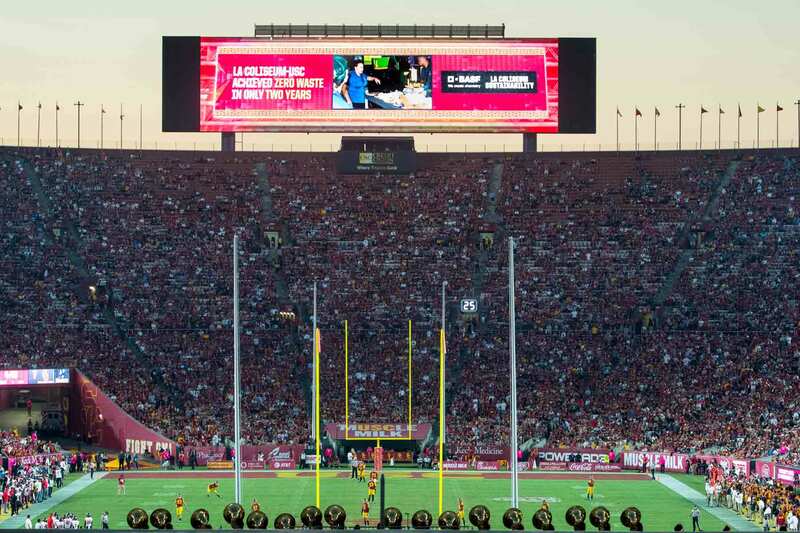 The back-to-back sustainability championship for USC was all the more impressive given that the Trojans share the Coliseum with the Rams, who have also committed to a zero-waste regimen during their home games. 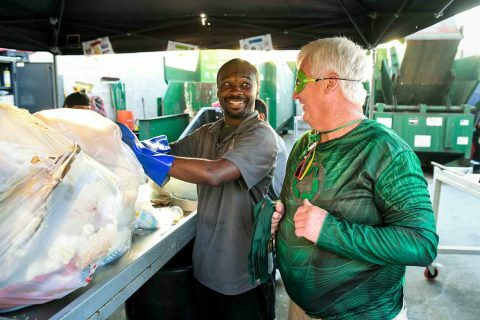 Waste diversion after each game generally takes fewer than 48 hours, with the exception of the three weekends when the stadium hosted both the Trojans and Rams, when the window of cleanup time was condensed to as little as eight hours. This is also a more involved process than typical sanitation, as the proper sorting of compostable materials can take more skill, effort and time. 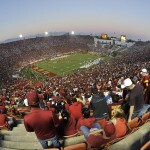 During the previous year under USC Sustainability’s leadership, the Coliseum became the largest NFL stadium and second-largest college stadium to actually meet the high sustainability “zero waste” designation during the season, repurposing over 90 percent of waste created by over 1 million patrons, totaling nearly 235 tons. The effort was even more herculean this past season, with up to 262 tons of waste diverted from the landfill. “Our zero waste program with the Coliseum has been a proving ground for the viability of a program of this scale, and a testament to the positive impact that a single building’s activity can have on our local environment. We plan to leverage its success to expand the program to other parts of the USC campus and to serve as a springboard for other high-impact sustainability efforts at the Coliseum that will serve to reinforce that venue’s value to USC and our Los Angeles community,” said Mark Ewalt, USC’s executive director of administrative operations. University representatives will officially accept their second consecutive award during the Green Sports Alliance National Summit at the Mercedes-Benz Stadium in Atlanta this June. In repeating as sustainability champions, USC is a leader among leaders. The Pac-12 conference is the first of the major “Power 5” conferences with all of its schools to be part of the Green Sports Alliance, a nonprofit established in 2010 to motivate sports leagues, teams, venues, partners and millions of fans to embrace sustainable practices. USC has been a member of the Green Sports Alliance since 2013. 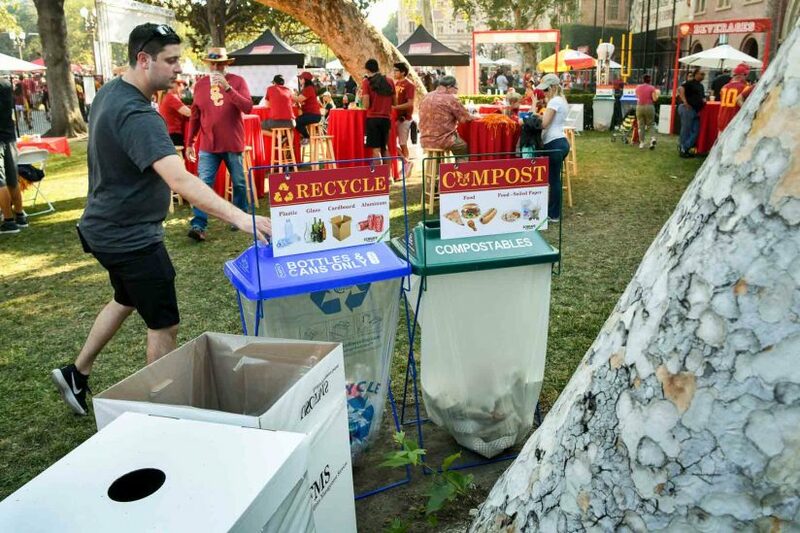 In collaboration with the USC Office of Sustainability, the Coliseum started moving its vendors to zero waste compliance before the 2015 USC Trojans’ college football season. 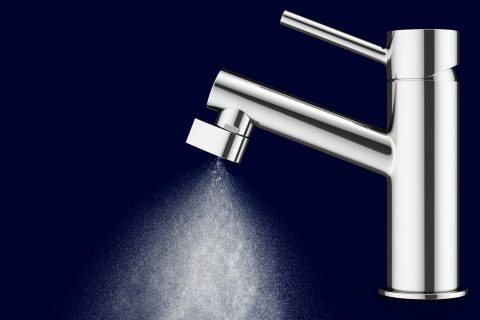 It was after doing so that USC was first recognized as the most improved university in the Zero Waste Competition. 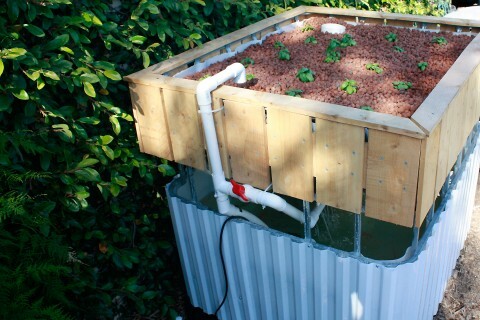 USC’s Office of Sustainability was commissioned in 2008 by Todd Dickey, senior vice president of administration, to implement sustainable practices across the entire campus while developing innovative outreach and educational programs as part of that effort. The Office of Sustainability is overseen by a university-wide Sustainability Steering Committee composed of students, faculty and staff who confer on sustainability strategies and execution.